Seattle Seahawks won the Super Bowl. One of the best memories is seeing the kids cheer. 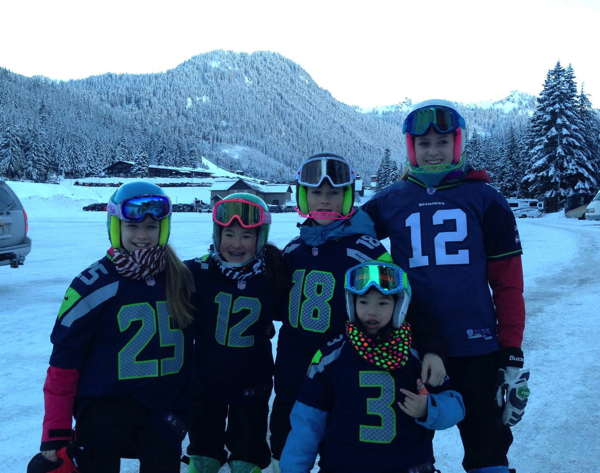 Below are our kids and the J family ready for their morning ski race training. Training was over at 12:30p so everyone could head home and watch the Seahawks win the Super Bowl.